NEW YORK: Philanthropist and orthopaedic surgeon Dr. Krishne Urs has made a hefty donation to a New York-based university medical center. The Indian American physician provided the Richmond University Medical Center with $500,000 for its $65-million emergency department construction project. Krishne N. Urs, MD is a Philanthropist and orthopaedic surgeon, practicing Orthopedic Surgeon in Staten Island, NY. Dr. Urs graduated from Chicago Medical School at Rosalind Franklin University of Medicine & Science in 2001 and has been in practice for 15 years. 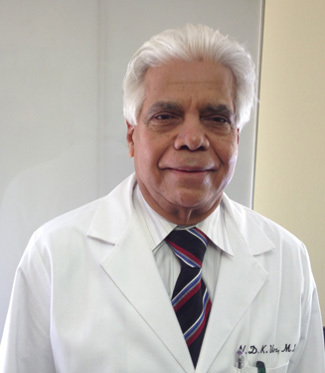 Dr. Krishne Urs completed a residency at Jfk Johnson Rehabilitation Institute. Dr. Urs also specializes in Physical Medicine & Rehabilitation. He currently practices at Richmond Orthopedic Associates and is affiliated with Richmond University Medical Center, Robert Wood Johnson University Hospital at Hamilton and Saint Peter’s University Hospital. Great work.. considering the plethoric condition the Indian health system is in now.